In the 1900 census Dean was married to Laura, who was five years his senior, and they lived with her mother, Anna Cook, the head of the household. The trio resided in Blasdell, New York, which was near Buffalo. Dean’s occupation was insurance agent; his parents and siblings were in the same town. According to the New York Times obituary, Dean was a cartoonist for the Buffalo Times and the Atlanta News. In 1908 he joined Uncle Remus’s—The Home Magazine. 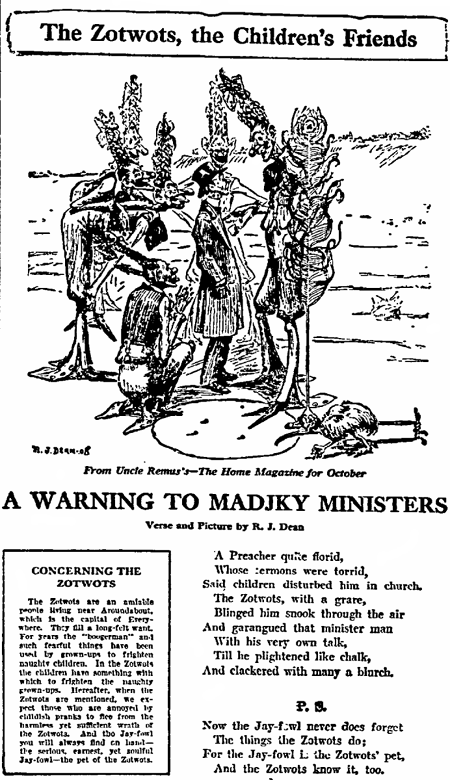 The first appearance of Dean’s Zotwots may have been in the October 1908 issue of Uncle Remus’s—The Home Magazine, which advertised the new feature in newspapers; the ad included some of Dean’s verse and an illustration. The magazine, which was based in Atlanta, ran one-third page ads in the Atlanta Constitution newspaper; the ad detailed the contents of the current issue. In the 1910 census Dean was single; he was one of seven lodgers at 50 Cone Street in Atlanta. His occupation was writer and illustrator at a newspaper. Only this census recorded his and his parents’ birthplace as Tennessee. 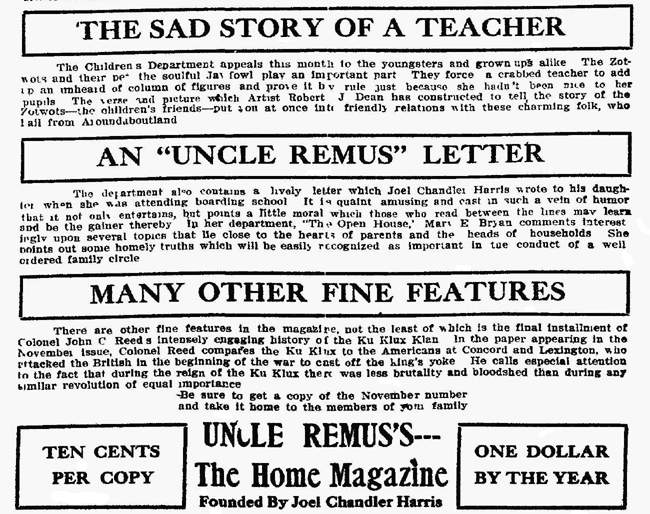 The February 1913 issue of Uncle Remus’s—The Home Magazine was its last. With the loss of a steady income, Dean looked north and found a new home for the Zotwots. 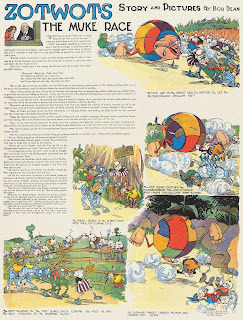 On April 12, 1914 the New York Herald published Zotwots in its Sunday comics section. 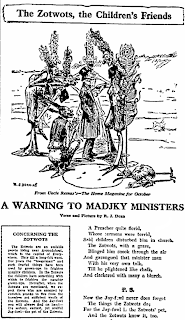 Zotwots final appearance was on November 1, 1914. Presumably the Deans had moved to New York that year or earlier. By the time Dean registered for the draft, he had been working as an illustrator at the Morning Telegraph newspaper. Born in Chattanooga, Tenn., Mr. Dean was a cartoonist for The Buffalo Times and later for The Atlanta News. 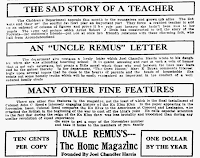 He joined the Uncle Remus Magazine when Joel Chandler Harris was its editor. Later, in New York he was employed by Collier’s Magazine, The New York Journal and The Sunday Herald. On The Herald he had a weekly page featuring “Zotmot” [sic] Elves, with drawings and verse for children. Later he became associated with the New York Telegraph, eventually becoming its assistant publisher. He left The Post in 1926 to make his home in Dutchess County.